Before you find an apartment and sign a lease, you might want to browse through these 4 tips to help you decide on the best option. First-time home seekers often run into the problem of being left with less disposable income as they don’t factor in costs for electricity, internet, AC, cable and so on. They just consider the monthly fee. Hence, budgeting is an important means to tackle the first hurdle to a hassle-free life in your first home. Decide whether you will drive or take the public transport. If you’re driving, consider two things- Is there a parking facility around your apartment or will you have to struggle for street parking? Will you be living in a traffic prone are? If taking public transportation, is the apartment situated nearby the bus stop or railway station? You don’t get to choose the landlord but you do get to choose the apartment even when you rent. You must enquire about the landlord’s credibility. Is he trustworthy and not cheat you? Hence, before you sign on the dotted line, spend time on research. 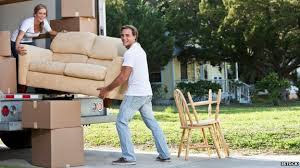 We are one of the most trusted Moving Companies In Lebanon.